Keeping our children safe is always our key priority. In an increasingly technological world, educating our children on how to keep safe and behave respectfully online. In school, this is coordinated by our safeguarding / wellbeing team and our ICT Lead. On Tuesday 5th February, children took part in activities to acknowledge Safer Internet Day. This year's theme focused around consent. The exploration of consent ranged from companies holding kids’ information without permission (use of Big Data and GDPR) to the social etiquette of friends not posting pictures of each other without getting their permission first. "Talking to your child – openly and regularly – is the best way to help keep them safe online." You might find it helpful to start with a family discussion to set boundaries and agree what is appropriate. Or you might need a more specific conversation about an app or website your child wants to use or something you're worried about. There are resources and advice for parents, on keeping your child safe on the internet, on the website: saferinternet.org.uk/advice-centre/parents-and-carers and on the links found at the bottom of this page. Please take the time to have a look and have a conversation with your child about acting safely, responsibly and positively in a digital world. 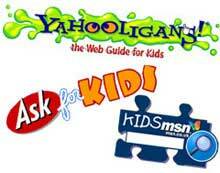 This link with video will help parents untangle the web. In addition, teach your children to be Share Aware.Because, just like in real life, children need your help to stay safe online. It’s important to keep ahead of what risks inappropriate content might pose for your child so you can chat to them about the issues and take the correct preventative measures. But it’s also important to think about setting the right parental controls in the places where your child is accessing online content, as it will help prevent them stumbling upon something they shouldn’t. Here are the relevant links to step-by-step parental controls instructions for the major entertainment services and search engines.